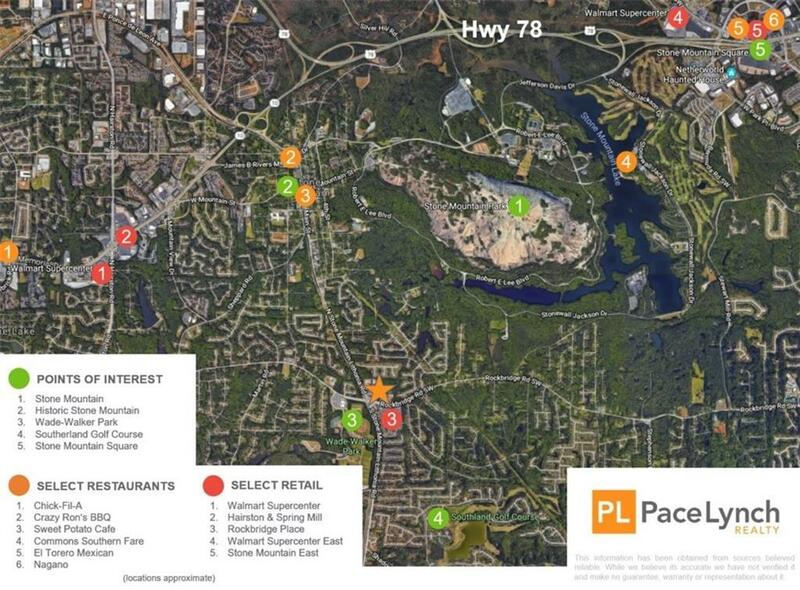 Excellent location for multi-family, mixed use, office park, or residential/ neighborhood supporting restaurants or services. 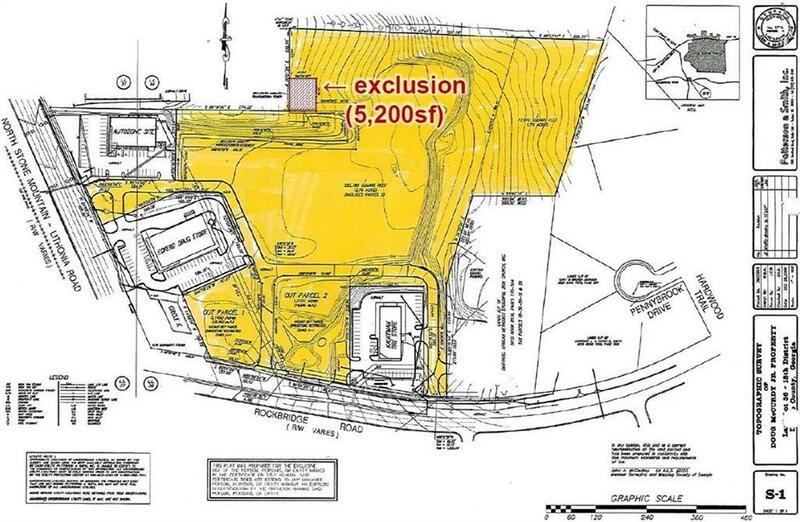 The site can be divided with current pricing that includes about 9.92 acres off an access street that connects both N St Mountain - Lithonia Rd and Rockbridge Rd with an ask of $1M - and two "out parcels" with frontage on Rockbridge Rd, both about 1 acre and ask of $300K each. The north-western cell tower site, about 5,200 square feet, not included in this offering.